If you need someone who can deploy, configure and troubleshoot Cisco Intrusion Prevention System, then you’ve come to the right place. 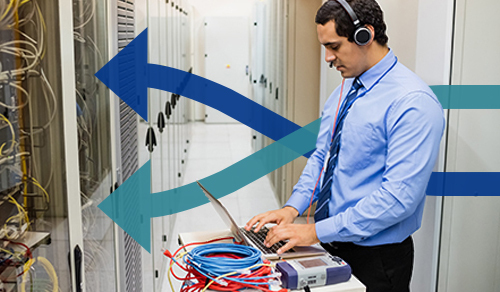 Here at Field Engineer, we have a network of Cisco IPS engineers who understand how to operate Cisco IOS and IPS software that you can call upon at a moment’s notice. As an IT company, telecoms operator, or small business, you need Cisco IPS specialists you can rely on to ensure that your digital operations remain secure. Field Engineer thoroughly vets all Cisco IPS specialists, ensuring that each individual has the training and qualifications you need to get the job done. When you hire a freelance Cisco IPS specialist from us, you minimize your risk while at the same time dramatically increasing the value to your company. Field Engineer is a network of more than 40,000 engineers across 180+ countries. With us, you can quickly find the Cisco IPS engineer you need freelance. No need to sign any expensive contracts or hire people on a permanent basis. Field Engineer gives you access to a network of Cisco IPS engineers on-demand, so you only pay for the services that you need. Posting jobs using the Field Engineer platform is easy. Just sign into the portal and describe the work that you need doing. Then Cisco IPS specialists in our network will begin bidding for the job. Field Engineer provides you with a range of capabilities, from worker locations tracking to mobile payment, reporting, and analytics. Sign up to Field Engineer today and start benefiting immediately.